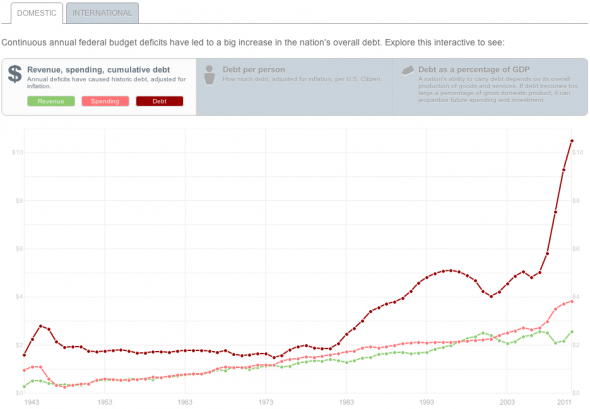 The time series show U.S. revenue, spending and debt since the 1940s. You can also compare national public debt as a percentage of the GDP for different countries in the world. I am impressed with what USA Today has been doing lately. Nice job, guys!